A range of high quality mineral oil based hydraulic oils, incorporating ashless additive technology and available in a variety of viscosity grades. They are rust and oxidation inhibited and will provide protection against corrosion even in the presence of seawater. Excellent anti-wear and EP properties provide protection against wear in the most demanding of systems. 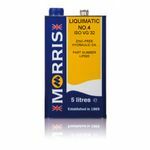 A mineral based zinc free ISO VG 15 hydraulic oil for use in certain powersteering and brake activator systems, including JCB where specified. 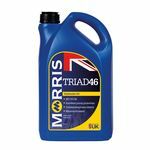 A range of high quality mineral oil based hydraulic oils, incorporating ashless additive technology and available in a variety of viscosity grades. They are rust and oxidation inhibited and will provide protection against corrosion even in the presence of seawater. 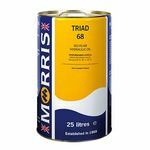 Recommended for both Industrial and off highway hydraulic systems, where extreme operating conditions are encountered. Can also be used in hydrostatic drives, power steering systems, brake systems and other applications where products of this type and specification required. 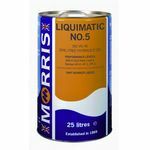 Liquimatic HV 46 is particularly recommended for contractor’s plant and machinery. 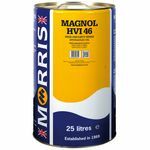 Magnol HVI 46 High Viscosity Index Oil is recommended for both Industrial and off highway hydraulic systems, where extreme operating conditions are encountered. Can also be used in hydrostatic drives, power steering systems, brake systems and other applications where products of this type and specification required.